It’s the morning of Saturday, August 27, 2011. 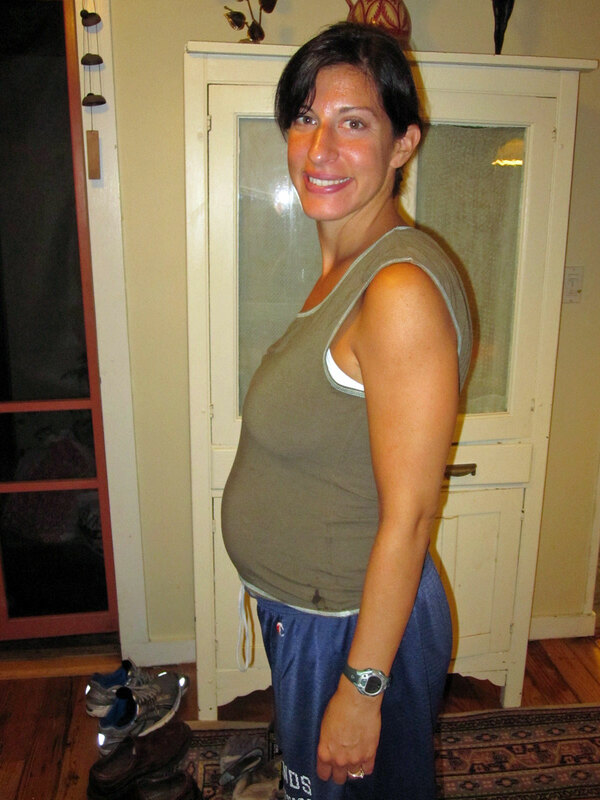 I’m four months pregnant and starting to feel the impulse to nest. Our neighbors wave and smile at us as we hop in the car and head off to AC Moore to buy supplies for our craft project: a butterfly mobile for the nursery, and to pick up the one preparatory item we forgot: D batteries. It’s raining sideways now, the sky looks sort of orange, and there’s a buzz and excitement in the air as we all wait for what’s to come. The parking lot at AC Moore is already a small lake. Kevin and I don’t find any D batteries, of course. It seems everyone else in Rockland County has had the same idea. The checkout lines are long, families with carts full of crayons, scrapbook materials and jewelry supplies. The power keeps going out in the store and the credit card machines aren’t working so we pay in cash for our supplies. 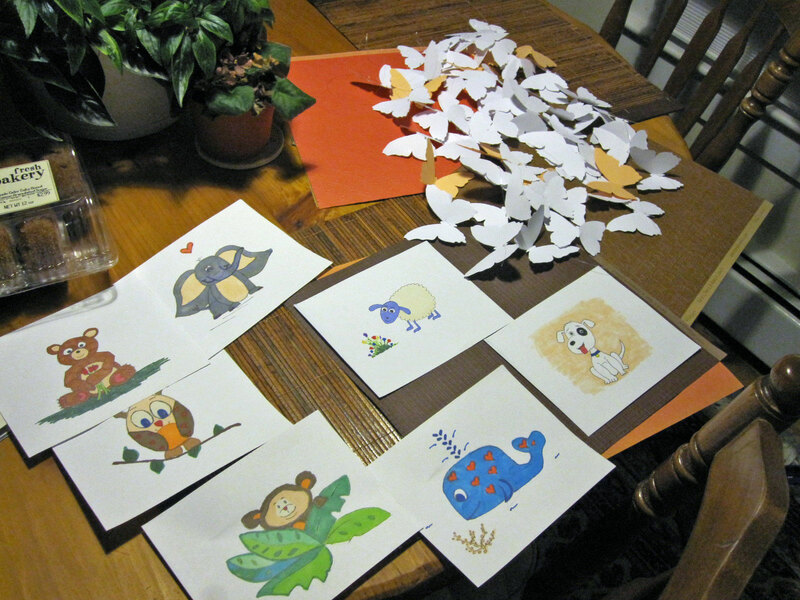 Our hands hurt from cutting out butterflies from morning until night while the rain gushes and trees sway against the side of the house. It’s nighttime and so far, we’re in the clear in terms of hurricane damage – we haven’t lost power yet. 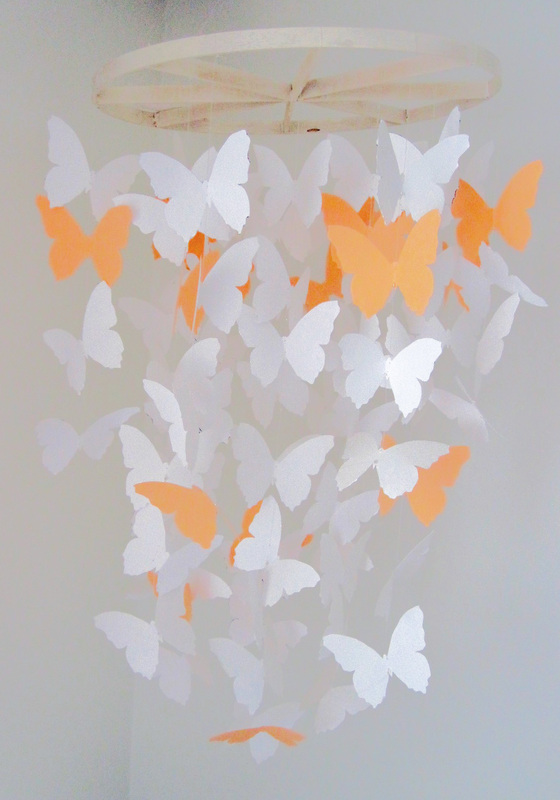 Exhausted, we leave our strands of butterflies on the table and go to bed. I can’t sleep. Before pregnancy, I used to sleep flat on my stomach with arms and legs splayed out and I can’t quite seem to get used to my side. The wind has picked up outside and we can hear tree branches cracking. I look up at the skylight, at the tree that hovers above the house, taunting us, scratching at the window. I’m afraid the tree is going to fall on us and crush us. When I do finally fall asleep, I dream that I’m in high school at a party at a friend’s parents’ house. Water is climbing up the back porch and we’re stranded inside, but everyone there is drunk, having a good time and asking me why I’m overreacting. I remember then, in the dream , that I have a baby at home that I need to get to. I turn over at 5am and see Kevin’s eyes are open too. “Maybe we should check on the house,” I say. Oh no! Two feet of water! While Kevin bales water into the washing machine, I work on the butterfly project. I’d help Kevin but it’s probably not a good idea for me to be pregnant, bending and lifting heavy water and I’m worried about mold in the basement. It becomes clear that Kevin can’t keep up with the rising water so we call the fire company. 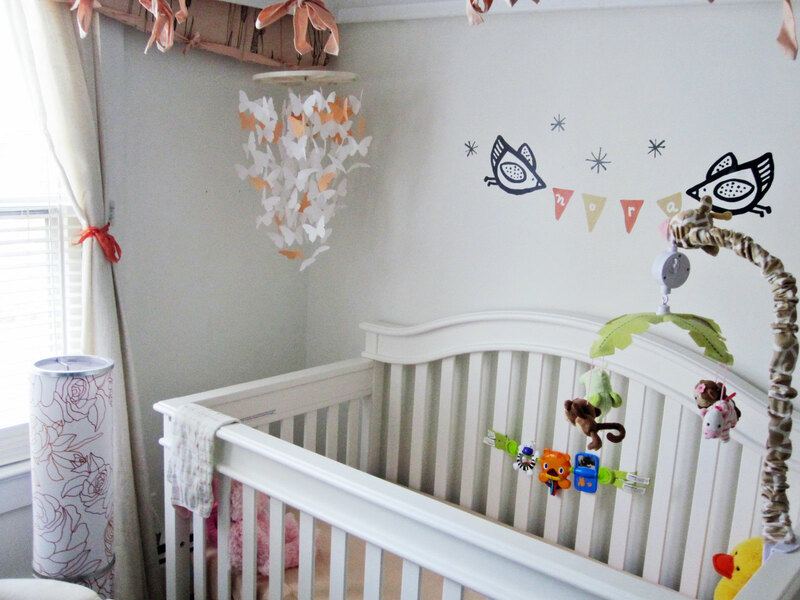 A fireman come over to assess our basement and walk through our family room where he finds scraps of paper, strands of butterflies and some of the other crafts we’d been working on for the nursery (see my last post on DIY cartoon drawings). “Looks like you kept yourself busy,” he says. 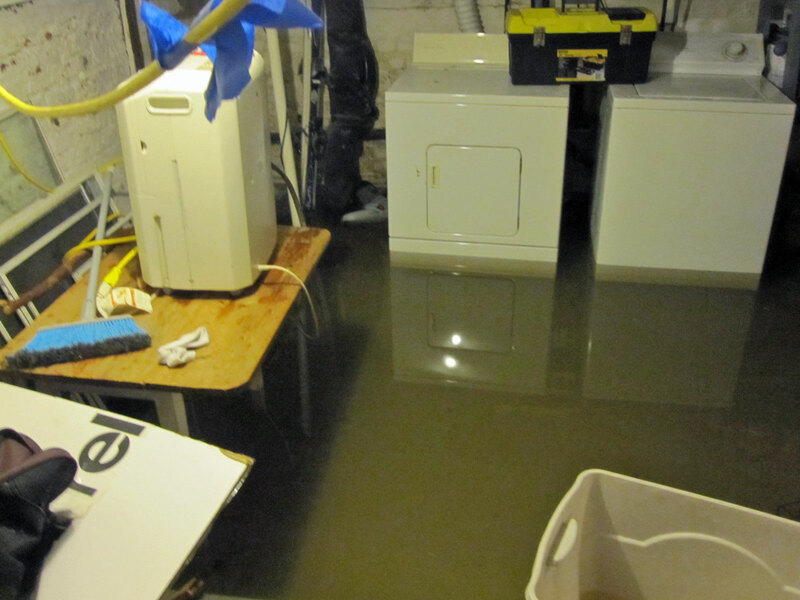 He says he will come back in a few hours to drain out the basement. He wants to wait for it to stop raining and we’re only one in a long list of people who need assistance. We work on our project while we wait for them to return. It’s a nice way to pass the time. Eventually the rain dies down. 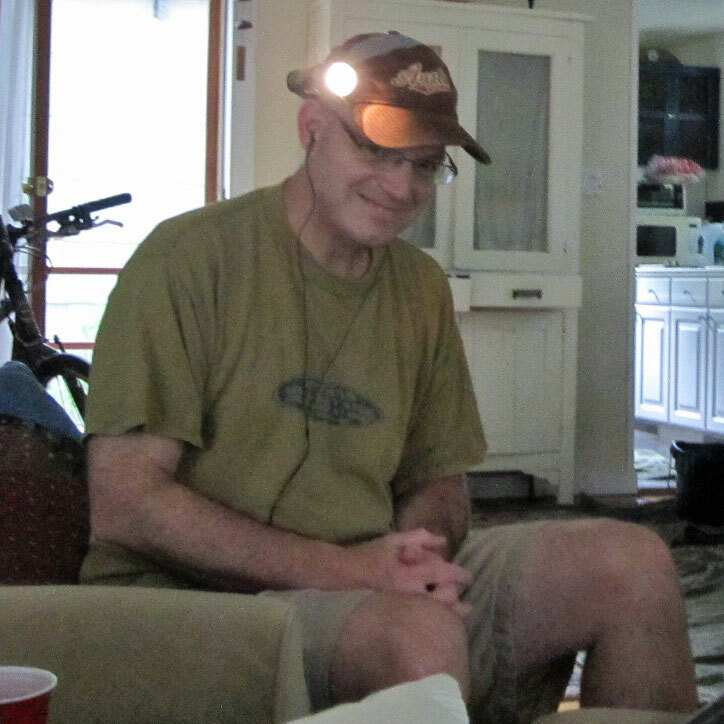 Kevin discovers a few hours later that the basement has drained on its own. Whew! We open the door and step out onto the porch to find a dark sky and branches down all over the neighborhood. We lose power for two days after that, but we’re lucky. The damage is nothing compared to what some friends have gone through in Vermont and parts of New Jersey. In the end, we have something to show for our cabin fever. 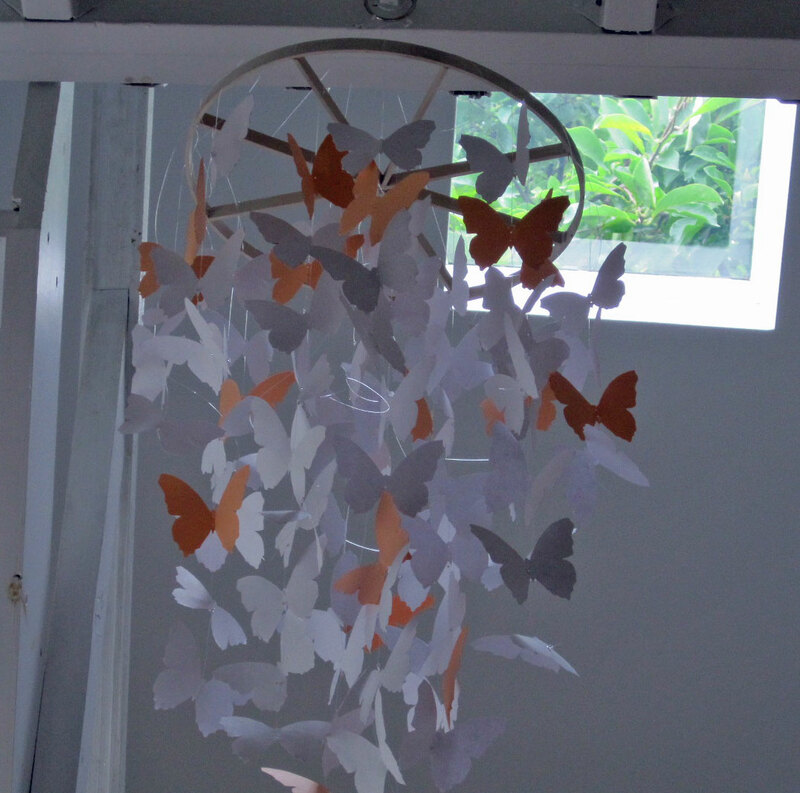 Here’s a picture of the butterfly mobile in Nora’s nursery. This mobile is beautiful! If I had a girl I would totally make this! Thanks! That sounds fun too!